The Office of Procurement and Operational Support procures and manages goods and services necessary for orderly and efficient agency operations. These include leasing and managing office space, managing agency records and forms, ordering office supplies, computer and printing equipment, and inventory management. The office also administers the Labor-Management Cooperative Grants program, and mail and distribution services. The director is responsible for advising agency managers on the best way to procure goods and services in accordance with government rules and regulations. This office awards approximately 120 transactions each year totaling around $4.5 million. Of the total transactions, approximately 23% are GSA delivery/task orders, 26% are purchase orders, 1% are contracts, and 50% are modifications. As FMCS does not post requirements on the agency website, all proposed contract actions expected to exceed $15,000 are posted to either FedBizOpps (www.FBO.gov), GSA eBuy! (www.ebuy.gsa.gov), or the National Institute of Health’s (NIH) NITAAC website (https://nitaac.nih.gov/). NOTE: The only time a Request for Quotation (RFQ) would be sent via email directly to a vendor would be if the supply and/or service is expected to be less than $15,000. If you receive such a request and question its validity, please contact ProcurementSupport@fmcs.gov. For other questions pertaining to specific requirements, please contact the Contract Specialist listed on the RFQ. Cynthia D. Washington is the Director of Procurement and Operational Support at the Federal Mediation and Conciliation Service (FMCS). In this role she serves as the Head of Contracting Activity (HCA), overseeing the agency’s procurement services, lease acquisitions, property management, facilities management, records management, grants management and digital media. 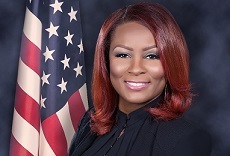 Cynthia joined FMCS in June 2012 and as the HCA she performs significant analyses of contracting functions to make authoritative recommendations to the Director, CFO, and other managers and staff. This also includes determining the best methods and procedures for accomplishing contracting duties and ensuring compliance with applicable Federal laws, regulation and policies. Prior to joining FMCS, Cynthia served as a Senior Procurement Analyst at the Government Publishing Office (GPO). In this position she developed acquisition policy documentation, researched procurement related issues for internal program customers and established contract strategy for the agency’s acquisition program, with overall advance acquisition planning. She also served as a Senior Contracting Officer at the National Institutes of Health (NIH). She planned, negotiated, awarded and administered multimillion dollar complex research and development acquisitions in support of cancer prevention at NIH’s National Cancer Institute (NCI). Cynthia was also a Procurement Analyst (Small Business Specialist) in the NIH Small Business Program Office for several years. The program was designed to increase participation of small and disadvantaged businesses in NIH’s acquisition program. Cynthia earned her BS/MBA degrees at the University of Maryland, University College (UMUC) and a Masters Certificate in Project Management from the George Washington University (GWU) School of Business. She currently holds an unlimited warrant and is FAC-C Level III certified. In addition, she is a longtime member of the National Contract Management Association (NCMA).